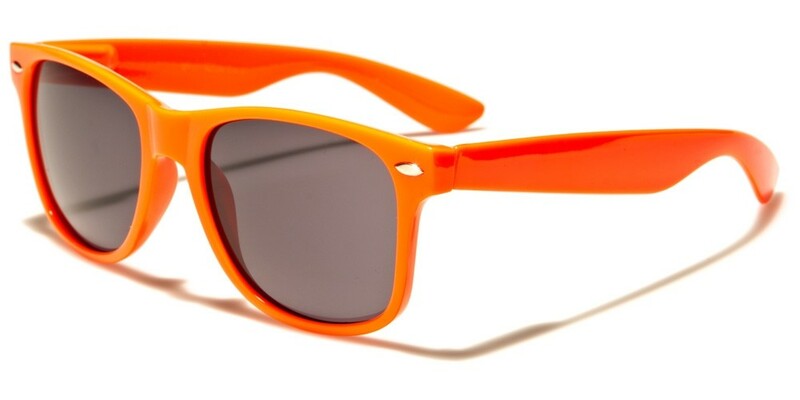 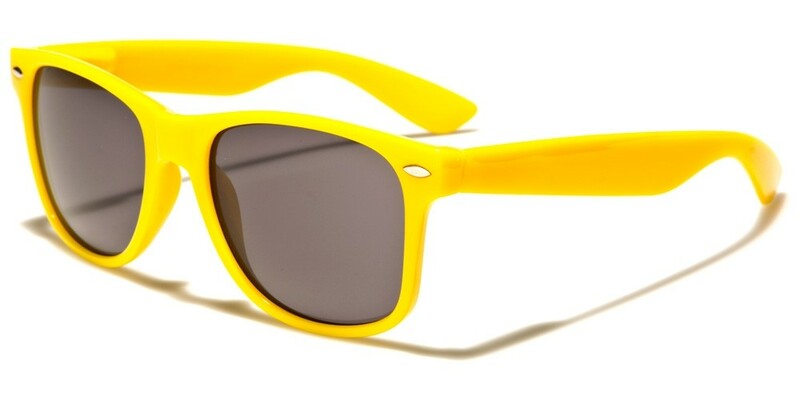 Bright colors, combined with the classic shape, are sure to get these sunglasses noticed and talked about. The frame is made of plastic and comes in a variety of fun colors that work well with the dark finish on the lenses. The arms are molded in the retro style with a thick, wavy middle and a curve at the ear. The dark lenses block out ultraviolet rays and protect your eyes. Men and women both with love how they look in these great shades.